Many of the Avengers are dead, Thanos got back to his planet (Most probably Titan), Captain America, Ironman, and other heroes are in complete shock about what just happened. And “WE” the viewers are holding our breath for the next installment. This is something that none of us had expected; we knew that heroes are going to die, but we didn’t expect the movie to end with such a massive cliffhanger. Avengers: Infinity War was a different kind of movie, it didn’t have a lot of Jokes and stuff, yes, there were few, but the tone of the film was generally grim. It was mainly a Thanos film, which was even told by his perspective in most of the part. Thanos was the main protagonist of the film, and he is possibly one of the best villains ever in Marvel Cinematic Universe, which is usually beaten down by critics for having one-dimensional antagonists. You’d be shocked to know that after the release of the film, many ladies confessed that they find Thanos to be handsome and some even went ahead to say, they wanted to be in bed with him. Yeah, so Thanos is a player brothers! And we may have to take some styling tips from our Gigantic Purple friend. 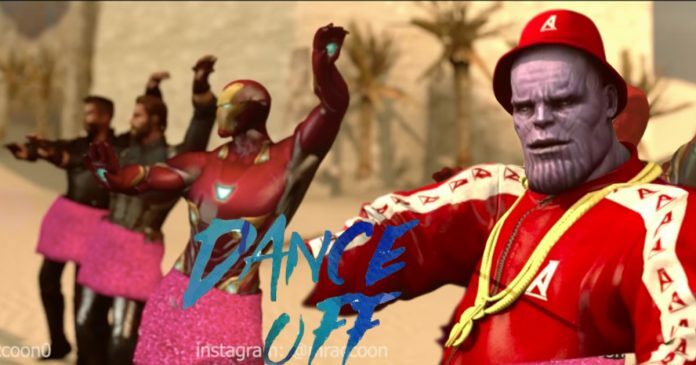 We have seen him crushing and destroying our favorite superheroes on the battlefield during Infinity War, but you may not have seen him rocking the dance floor. 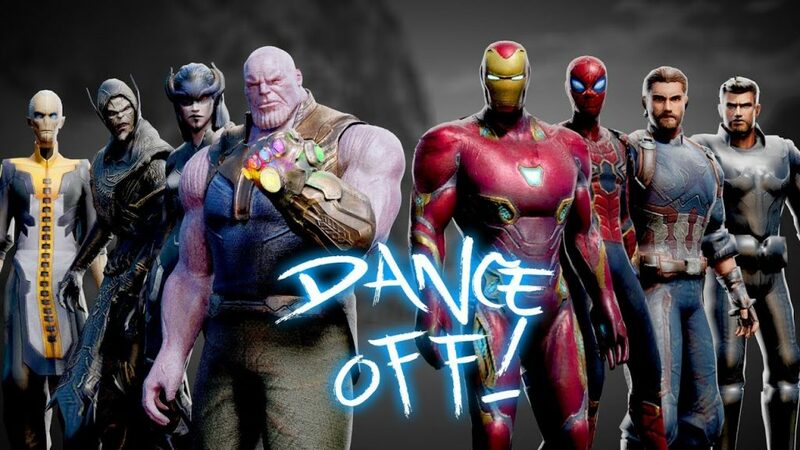 A Dance-Off battle between Thanos with his Black order Vs. The Avengers created by our favorite Youtuber – Mighty Racoon. Here’s the latest animated fan made video of the Dance Off Battle between Thanos and Avengers, Enjoy!